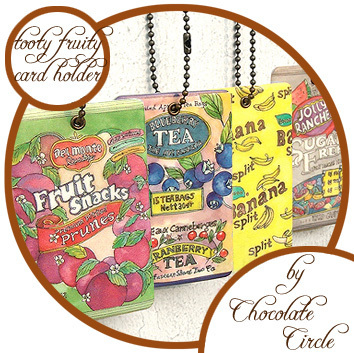 • Impress your friends and colleagues by holding your ID cards, staff cards, travel cards and contact info for your baggage with one of these Brand New Tooty Fruity Card Holders! • They are made of PVC and are light-weighted and slim which is suitable for everyday use such as hanging around your neck (strap not included) or tagging it to your bags and luggage! 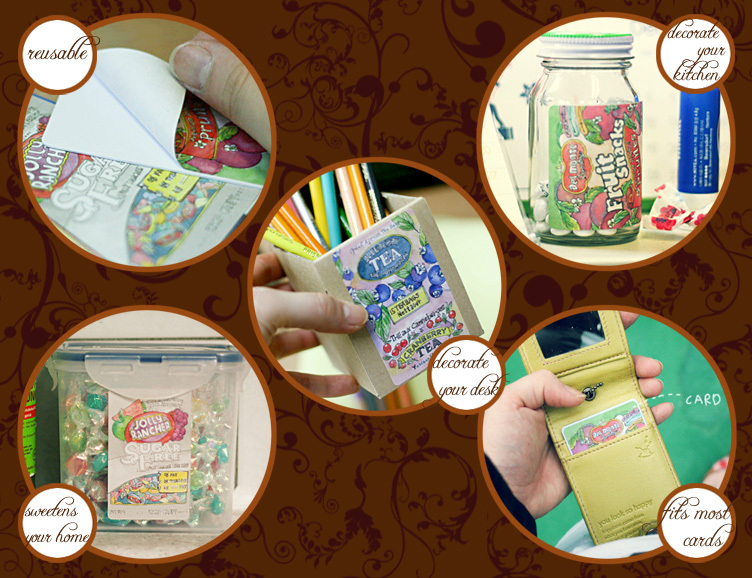 • On each Holder is unique artwork of one kind of famous Fruity Snacks; also comes with a matching sheet for your personal info for use as a luggage tag! • Best choice as gifts for friends who enjoy food, desserts especially refreshing fruits! Blueberry x Cranberry Teabags Sold out! US$7.95 including shipping. Leave us a comment or ask a question below. 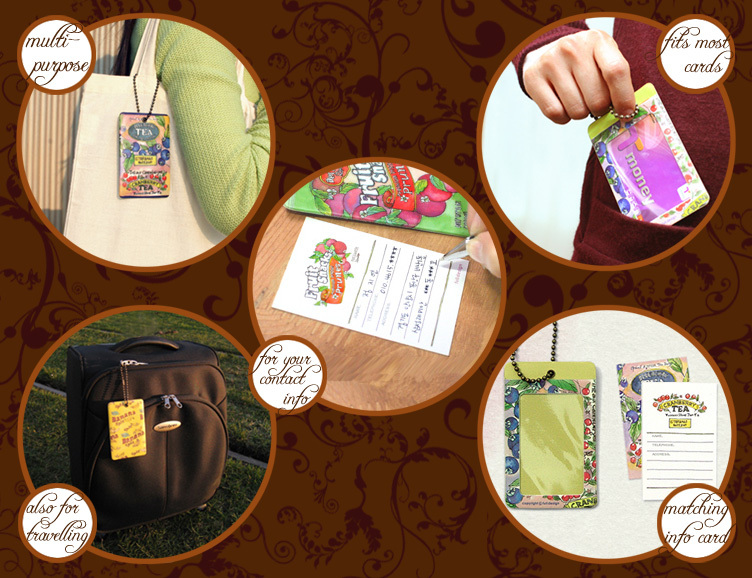 • Impress your friends and colleagues by making over your credit card, ID card, staff card and travel card with one of these Brand New Tooty Fruity Card Make-over Stickers! 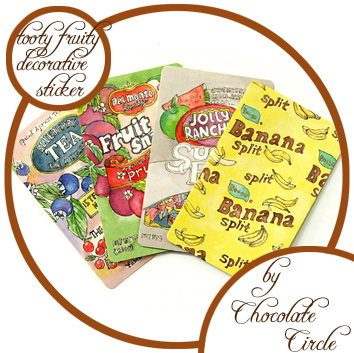 • On each Sticker is unique artwork of one kind of famous Fruity Snacks; decorate and label your room and your kitchen with these stickers to give your home a style! • Perfect also for decorating your scrapbooks and diaries, or for accenting letters and cards for your loved ones- sure to brighten up the day! • Sticker is reusable for use multiple times- a great value for the price! • Get a US$3.96 discount for purchasing 4 themes! Collect the whole series for your love of delicious snacks! 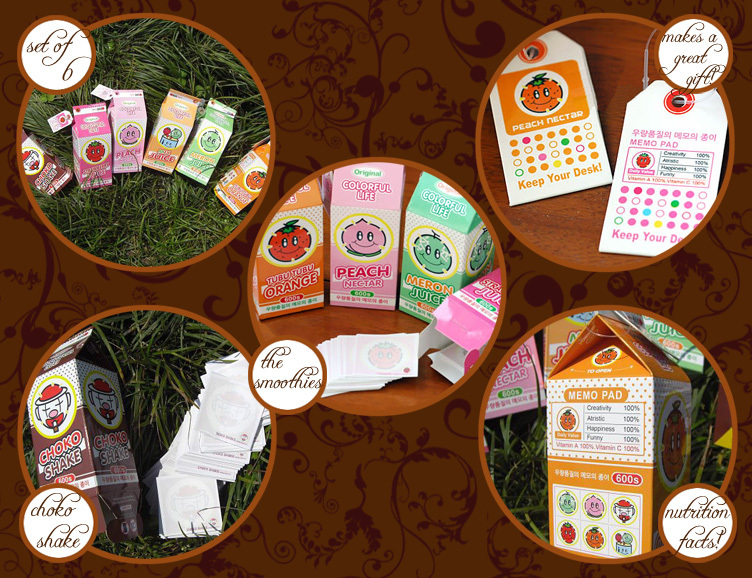 • Best choice as gifts for friends this Summer who enjoy food, desserts especially refreshing fruits! US$3.99 including shipping. Leave us a comment or ask a question below. 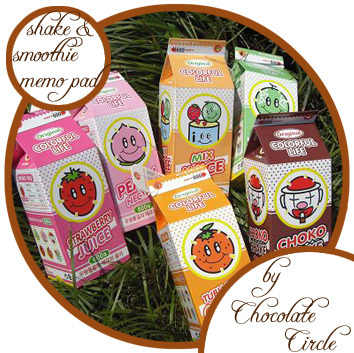 • Impress your colleagues and classmates by sketching, writing and note-jotting with one of these Brand New Shake and Smoothie Carton Memo Pads! • Each Carton looks like a real drink carton right off a convenient store shelf! A cute gift and trick for all ages! • Each Carton is filled with 600 loose note sheets! Perfect for sharing among desktops at work and at home! A great value for the price! • Comes in 6 “flavors” for all taste-buds! Note sheets are also printed with and scented with that “flavor”! US$11.45 including shipping. Leave us a comment or ask a question below.